What an awesome vacation. I really love England, particularly rural England, the countryside is so pretty, dotted with gorgeous little villages and farmhouses, just like out of a storybook! 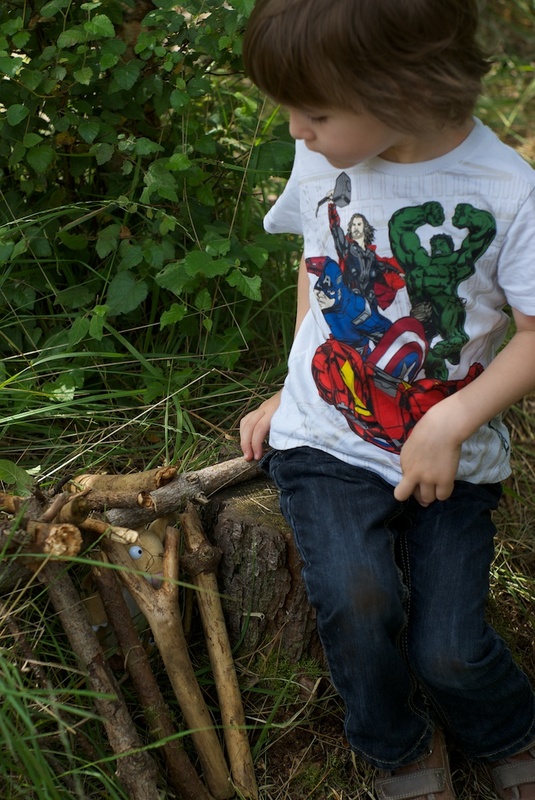 We have been out driving around taking in the scenery, took the little guy on a Gruffalo hunt in a pretty forest (and he even made a nice little mouse house!). 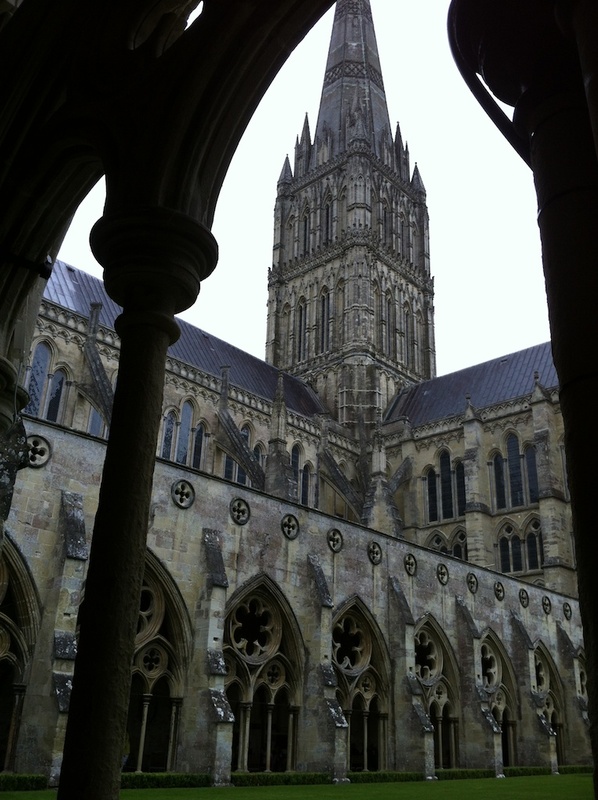 We walked Salisbury and of course, visited the Cathedral, what an awe inspiring place that is, I love being somewhere like that and imagining all the people who have been there before me, almost a thousand years worth of people living their lives in and around that Cathedral. Its humbling but refreshes my whole perspective on life the universe, and everything.. I am also a history geek, progressing from my teen years of reading romanticised historic fiction to studying it at university, its so endlessly fascinating! 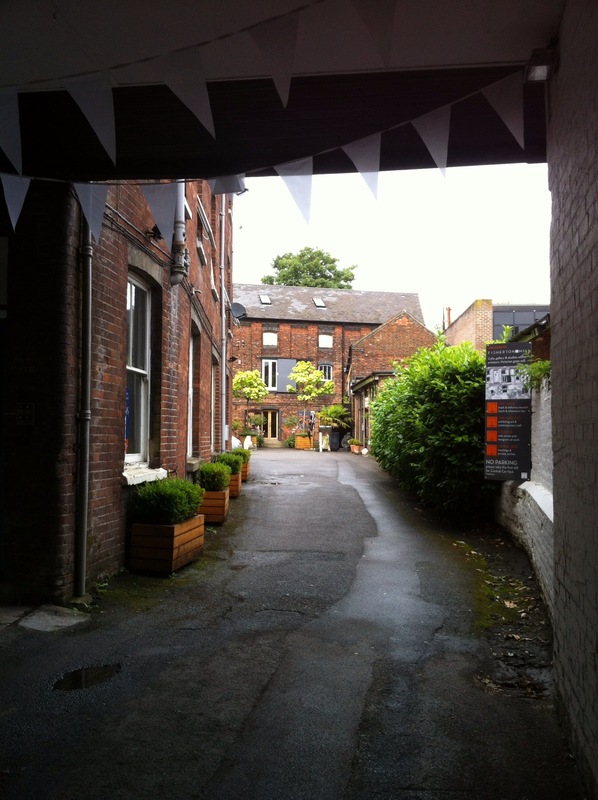 I also found a real modern treasure in Salisbury, a rebfurbished Mill House that now houses a gallery, and many artist studios; jewellery makers, a glass blower, milliner, weaver, painters and photographer, AND a fabulous little yarn store! I was so inspired, its exactly the kind of place I would love to have my own studio, it had such an open and creative atmosphere there. I bought some excellent knitting needles and had a nice yak with Heather. She runs lots of workshops there as well as a couple of Knit and Knatter groups each week. It was great to hear that knitting is just getting more and more popular here, particularly among the 20 somethings generation, and I could see in her shop that there is plenty of local inspiration here to get people started as well as all the practical help needed. 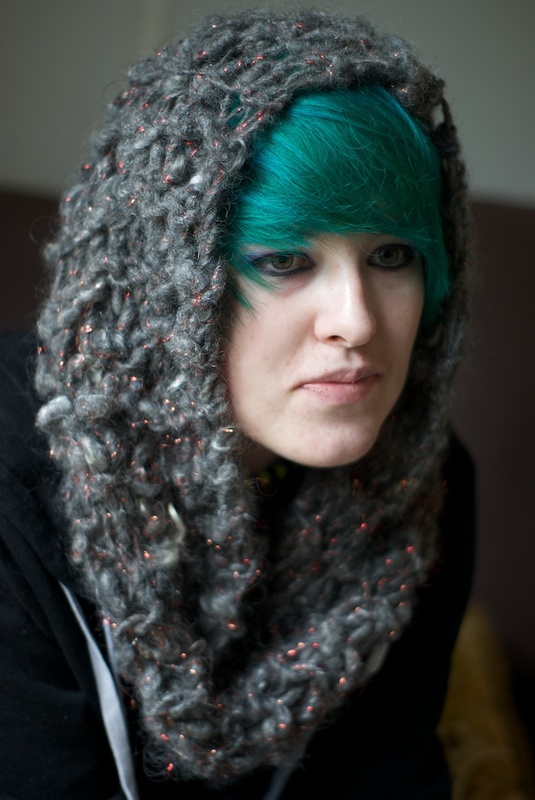 I was feeling really inspired after my visit to Born to Knit, and so I finished off knitting up that Gotland lockspun Gandalf the Grey Firework yarn I started earlier, and it ended up a nice cowl/hood, I wanted it to be somewhat LOTR-ish 🙂 I am pretty pleased with it and love the texture and chunkiness of it. Yesterday we went to Bath and spent some time with the wonderful Virginia (my kiwi mate who sews like you wouldnt believe). Bath is beautiful. Coming over the hill towards the city you get a stunning view of a city spread out below you along a river, almost glowing as every building is created with the local Bath Stone, which ages into a light creamy rusty colour. It felt a lot like Florence actually! We drove into the center and went in search of the Baths, ancient roman bath houses which must have helped them feel just little bit at home in this cold and wet country! Ok so we found the Pumphouse Restaurant first, where I felt very Jane Austen-ish dining with the white linen tablecloth under the giant chandelier. 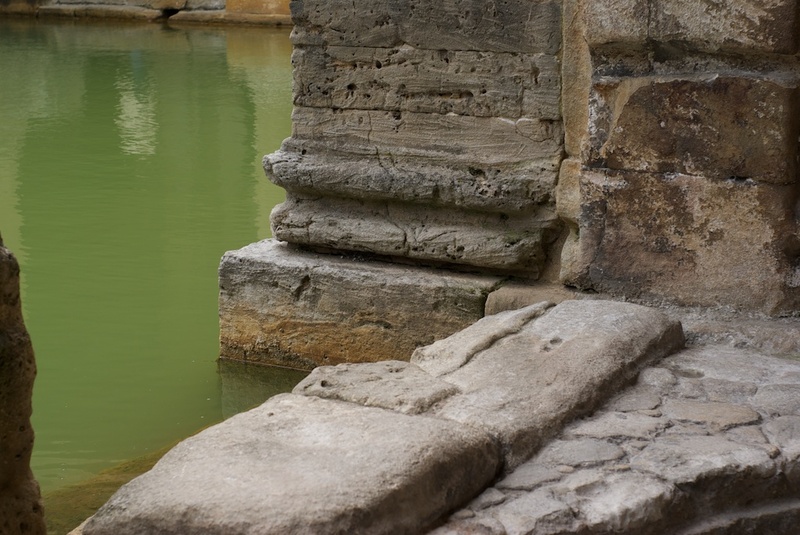 The Baths themselves are spectacular, there is plenty of the original roman constructions left to gaze at, many artifacts and a lot of accessible information about the history of the baths. It was an awesome place, even with all the tourists! So anyway, I left some yarns with Virginia who is going to work some design magic! Keep an eye on the blog for some patterns coming soon!! Today we found a beach I fell in love with, glistening water, interesting treasures stones to pick up and hoard, a wonderfully explorable cove, and stunning views. 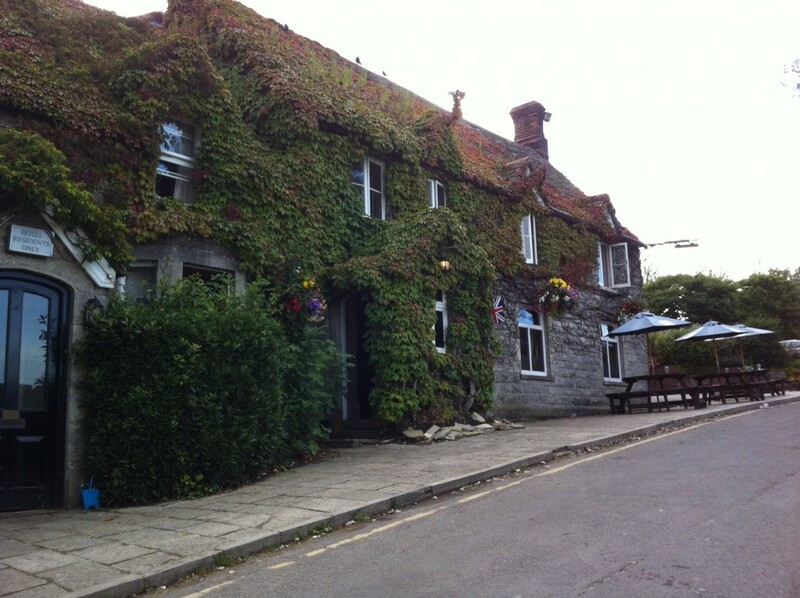 and then we stopped at this sweet country pub for refreshments on the way back. Thank you for the beautiful pictures and the great commentary!